LETTER | Two eminent scientists have spoken out following incorrect statements recently reported in the media about Lynas Malaysia’s operations. “The small amount of thorium and uranium in the WLP (water leach purification) generated by Lynas are not man-made but naturally occurring radionuclides found in soil, water and in food. “Uranium-238 and Thorium-232 will always remain as naturally occurring radionuclides, even after a physical or chemical extraction process. “‘Dilute and disperse’ is one of the principal ways radioactive waste can be managed. This is accepted by the IAEA (International Atomic Energy Agency) and the AELB. “Radiation risk is not dependent on the presence of the radionuclide but the mode of exposure and the exposure levels. Lynas Malaysia confirms the company is fully compliant with the internationally accepted exposure limits. The Pakatan Harapan government’s Scientific Review Committee found that Lynas Malaysia’s operations are low risk and compliant with relevant regulations. In keeping with Lynas Malaysia’s commitment to being safe for its people, safe for its communities and safe for the environment, the Review Committee also found that Lynas Malaysia has voluntarily “taken additional initiatives to comply with other international standards and practices”. Lynas Malaysia also wishes to address factually inaccurate statements by SM Mohamed Idris of Sahabat Alam Malaysia and the Consumers Association of Penang. These statements are false and ignore scientific fact. It is scientific fact that Lynas Malaysia’s WLP residue is Naturally Occurring Radioactive Material (NORM). WLP contains low level, naturally occurring radionuclides, and the lanthanide concentrate (feedstock material) processed at the Lynas Malaysia plant has the same low level of NORM as the WLP residue. There is NO technological enhancement of the low level, naturally occurring radionuclides (Thorium and Uranium). This was confirmed by the Scientific Review Committee that was appointed in 2018. The Review Committee’s Report states that WLP is “a material that contains NORM”. WLP is also classified as NORM by the IAEA, the international scientific benchmark for radiation safety. In addition, the IAEA Safety Standard for protecting people and the environment (GSR Part 5, 2009) advocates “dilute and disperse” as one of the principal ways radioactive waste can be managed. 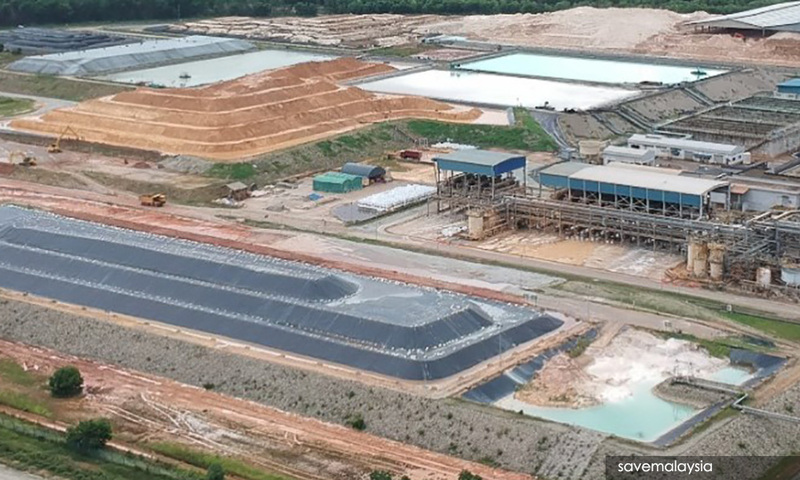 The Review Committee also found Lynas Malaysia’s operations are low risk, compliant with relevant regulations, and that residue storage facilities are operated in a proper manner. These findings are consistent with several independent and scientific reviews, including by the IAEA. Lynas Malaysia reiterates that all assessments of our operations should be based on scientific facts and evidence from qualified experts, not unsupported assertions by unqualified people. ISMAIL BAHARI is general manager, Radiation Safety, Regulations & Compliance, at Lynas Malaysia Sdn Bhd.